New Tactical Cadet assault boots. 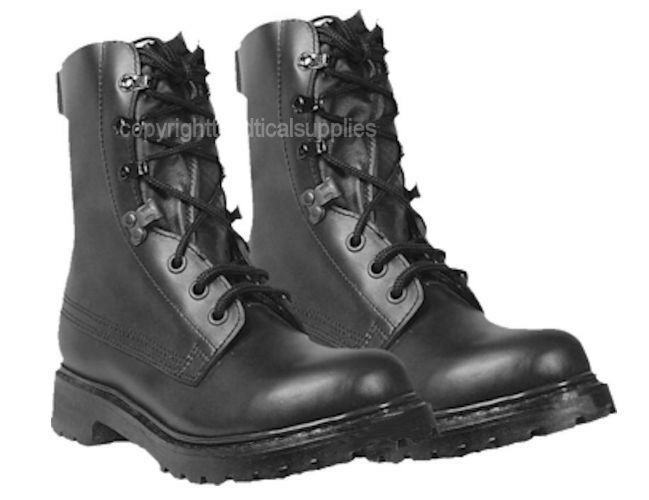 New Cadet assault boots designed on the traditional British army assault boots.This is a superb mid to hi leg assault boot which is recommended for cadets.It comes with Quarter Lining and has a Full Leather Padded Sock.The Speed Lace system is popular and will keep the laces fastened snugly. It comes with Duel Density sole and anti-clog pattern with ergo design. 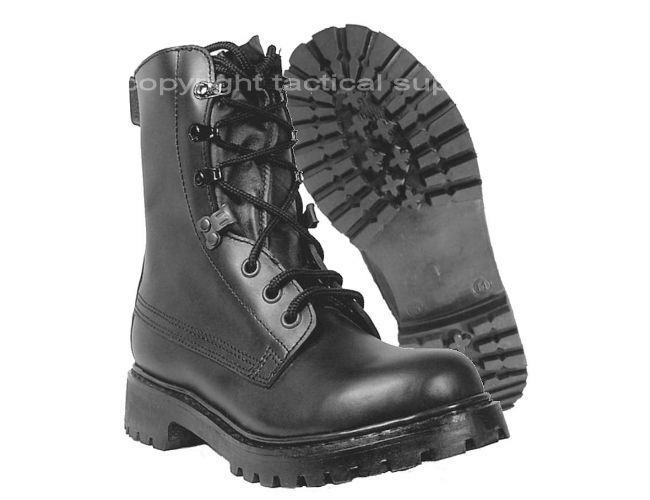 This is a great boot for security and cadets. This is a smart looking boot and based on traditional designs. Mid leg length assault boots. Light with good support and protection. Shock absorbent mid sole and rubber out sole. Seven eyelets. Height 10 inch.